Things I spotted at Sony Style KLCC today! The bronze Sony Alpha 330! It looks every bit as good in real life, as it looks in the picture. Which is really, really good. 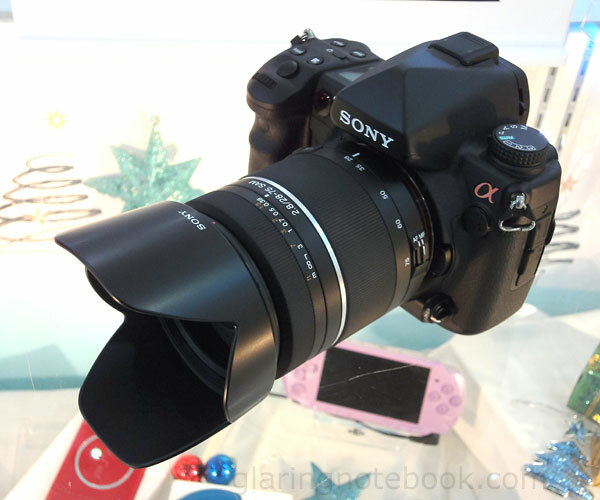 The much awaited Sony 28-75mm F2.8 SAM! 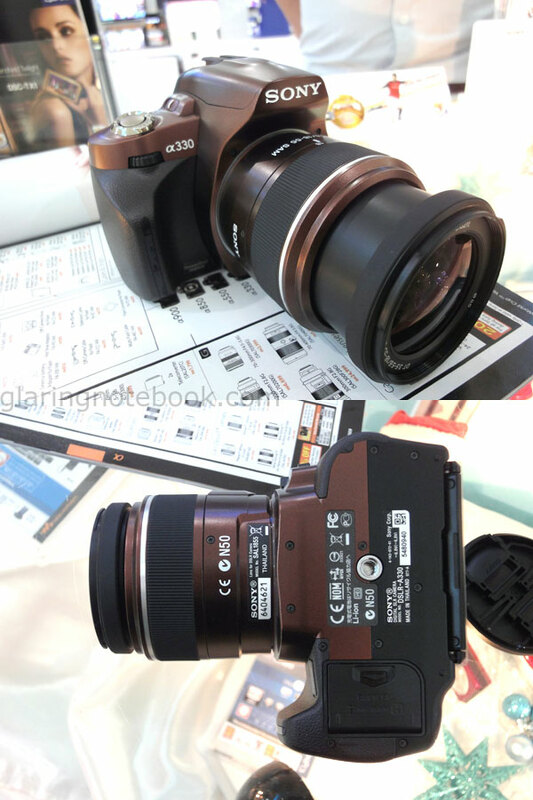 Note that there is a Lock switch to hold it at 28mm, and the focus ring is reverse from most Sony lenses. 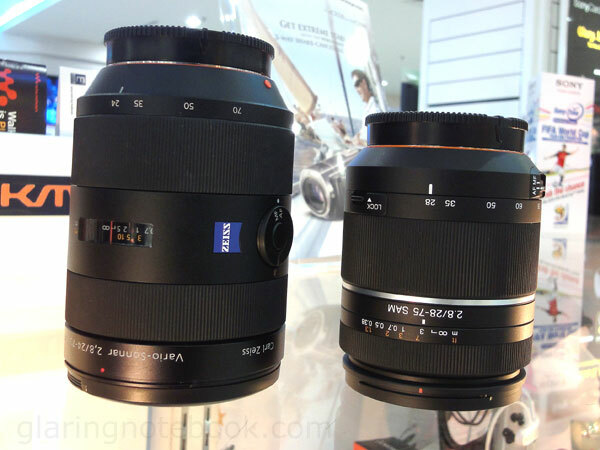 It is noticeably smaller than the Zeiss 24-70mm F2.8. 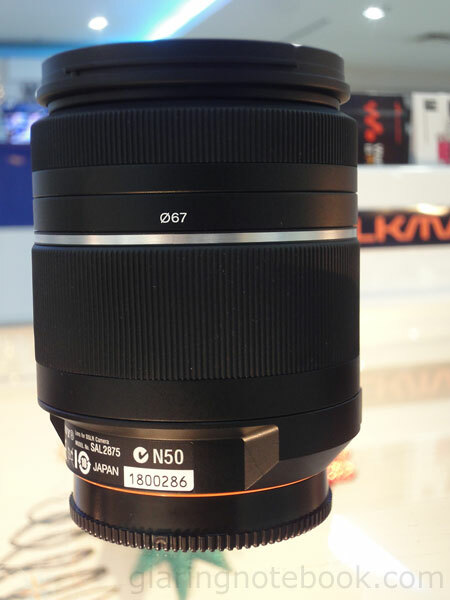 We all know that the Sony is a rebadged Tamron – it’s obvious from the reverse focus ring and filter size. However, why is the MFD changed from 33cm to 38cm? The Tamron 28-75mm F2.8 in Canon EF mount comes with a micro-motor since all Canon EOS cameras do not have in-body motors. The Nikon F mount version also has that micro-motor. Both Tamrons can still do 33cm with a micro-motor! So why can’t Sony? Obviously, because a Sony 28-75mm F2.8 that does 33cm MFD compared to a Zeiss 24-70mm F2.8 that does 34cm MFD looks better on paper! I have to say this, I absolutely hate SAM for lenses that are meant to be matched on higher-end bodies (A850/A900) which have the AF/MF toggle and DMF functionality, because SAM makes any on-body MF control impossible. It’s not so bad to have SAM on a kit lens but not on a lens that is targeted to full-frame users. Its weight is superb – it’s light enough and yet it balances very well on the A850! If the 24-70mm ever felt too heavy, this will feel miraculously matched. Pixel peeping will come another day! Personally, if I could find a good copy of the Konica Minolta/Tamron 28-75mm F2.8, I would pick that over this Sony, only for the AF/MF and DMF functionality. This entry was posted in Geek, Pictures, Rants on November 24, 2009 by 2konbla.